Is your car sitting in the driveway because your parking space is lost in a sea of clutter? 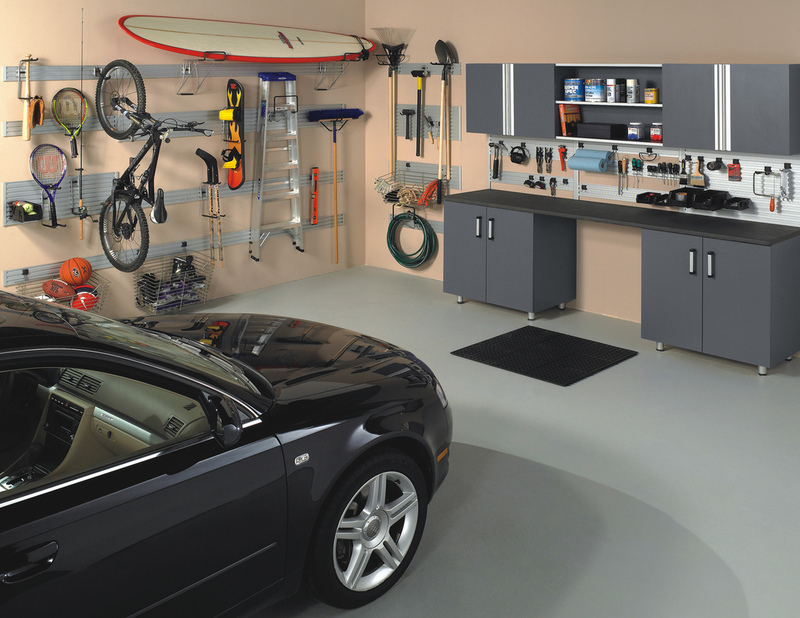 Reclaim the right-of-way with a versatile garage storage system from More Space Place. Our expert designers can design the perfect custom cabinets, workbench, or storage space. Keep all your tools in sight – or at least neatly hidden away. Install sleek cabinets to organize your bulky seasonal items. 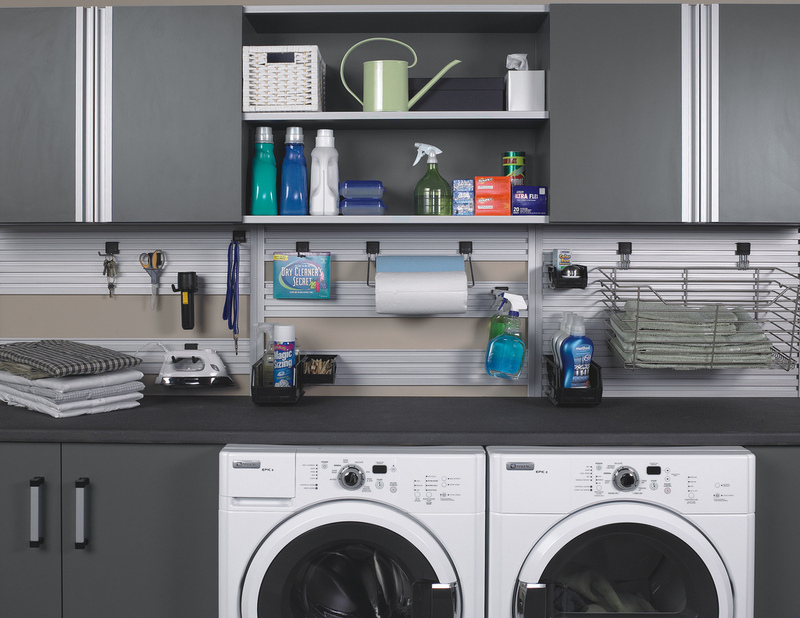 Utilize our custom closet features to maximize the garage. Finally, complement the space with an industrial-strength Schulte® grid storage system. Our fully customizable garage systems can also put a lid on clutter in basements, fitness rooms, utility rooms and sheds. Whether you need to add more storage space to the existing workshop in your garage, or if you’re looking to build a completely new workshop, we are here to help. More Space Place offers the greater Jacksonville area an extensive selection of garage storage and organization systems, including storage racks, shelving, customized work benches (available in sitting or standing heights), and specialized hanging wall cabinets. We have a wide selection of custom-built cabinetry to choose from, so you can find the ones that best fit the needs of your space. With the broad selection of different styles and finishes we offer, our storage systems can be made to match any personal style. All of our custom garage shelving systems are available in furniture grade engineered composite, all wood, or a combination of materials. Since we know most garages aren’t as well insulated as the rest of the house, you won’t have to worry about your cabinets and shelves sagging or warping. 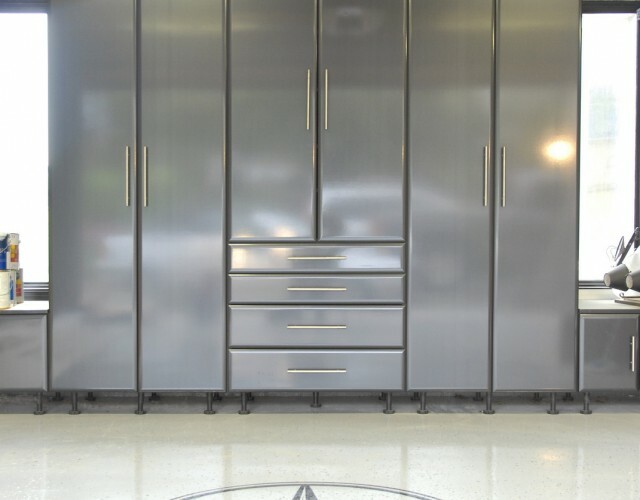 We construct our garage systems with thermally fused laminates or all-wood cabinets and strong steel connection hardware. 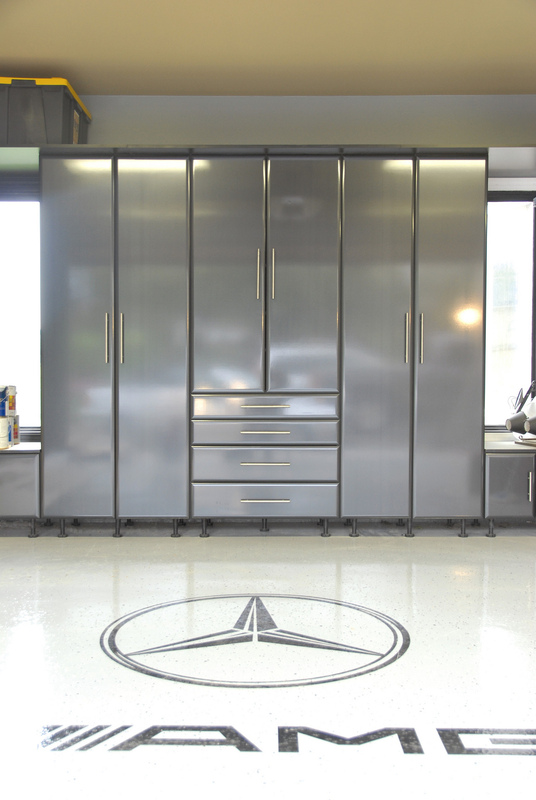 Having a customized storage system for your garage or workshop is key to maintaining the best possible organization. Everyone’s space is different and everyone has different items they need stored. Having the power to customize the storage solutions to fit your needs makes all the difference. At More Space Place Jacksonville, we are here to help you design and create an organizational system perfect for your needs. We offer free design consultations and estimates. Call us today to get started!